← Dungeness Crabs – How Dead Is Too Dead? Turning a Waterski Kneeboard into an Abalone Diving Rig? 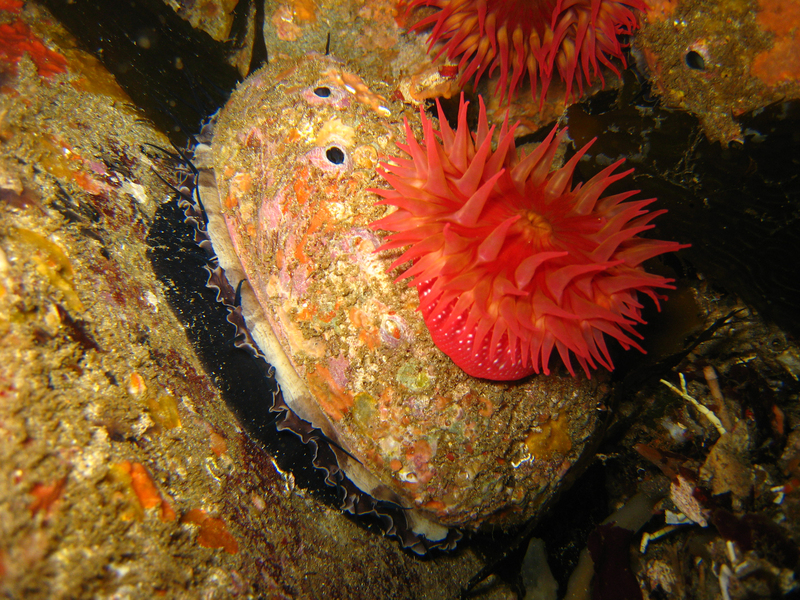 Answer: There is no prohibition against using a kneeboard instead of a float tube, which is much more common for abalone. A diver may use an anchor on a float tube or kneeboard if they choose to, but most just tie a line to a piece of kelp to keep the tube in place. What you describe is a legal device to access an abalone diving spot as long as you are not using SCUBA equipment. A kneeboard would not be considered a boat or vessel so you will not need to tag your abalone and fill out your card until you return to shore. Retaining just one claw when crabbing? Answer: You are required to take the whole legal-sized crab to prove your crab is of legal size. Possessing just claws would be a violation because the size of the crabs they came from cannot be determined (Fish and Game Code, section 5508). Crabs also carry a lot of meat in the body. Crab season for all crabs of the genus Cancer (except Dungeness crabs) is open all year. The size limit in Southern California is four inches and the part of the crab that we measure is the main body shell (edge of shell to edge of shell at the widest part). While crabs may be able to regenerate lost claws under good conditions, crabs with only one claw have a far tougher time fending off predators than if they had both claws for protection. Predators will go after any weakened animal, so just removing a claw may be considered a waste of fish – also a state violation. A two-day nonresident hunting license to shoot pigs? Answer : Unfortunately, no. The two-day hunting license is only valid for taking resident small game and nongame birds/mammals and is not valid for big game species in California.. Your friend would be required to buy an annual nonresident license and a current nonresident wild pig tag. Answer: In California land is deeded under flowing stream channels, so you would be trespassing. If the land is posted with no trespassing signs at 1/3 mile intervals, fenced or under cultivation you could be cited for this violation (Penal Code, section 602.8). The water you described is state water and as long as you were floating on the water, such as in a boat, there would be no violation. This entry was posted in Abalone, Bag Limits/ Possession, Diving, Fishing, Info, Licensing/Permits/Stamps/Report Cards, Methods Of Take, Recreation, Regulations, Waterways, Wild Pigs and tagged abalone, big game hunting, crab fishing, crustaceans, Diving, invertebrates, Licenses, ocean fishing, pig hunting, regulations, tresspassing. Bookmark the permalink.